Eglin AFB, FL. - Eglin Air Force Base is located 60 miles east of Pensacola, FL, and encompasses 17 miles of beautiful, white sand beaches along Florida’s Emerald Coast. Formerly the home to the Air Armament Center, it is now home to the Air Forces’ largest wing, the 96th Test Wing. 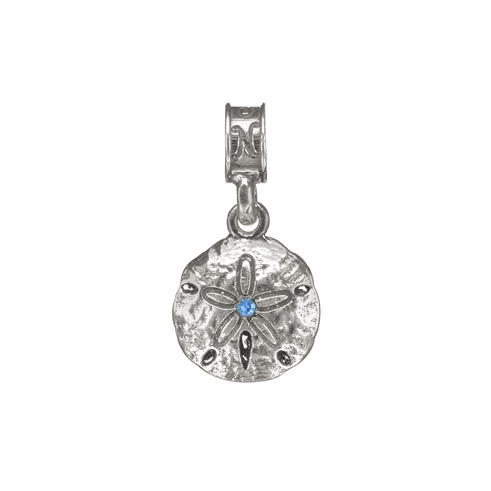 Our Eglin charm is a .925 sterling silver sand dollar accented with a clear crystal and inscribed with “Eglin AFB FL” on the back.